IT Sligo student Colin Topliffe talks about the benefits of studying along Ireland’s Wild Atlantic Way. Sligo is quite far from Dublin which is why I had lots of questions about going to IT Sligo when I could have gone to school in Dublin, Cork or Carlow. This choice came down to three main aspects; cost, connections and staff. When I was looking into schools, I started to reach out to some students I knew who came to Ireland the year before to study in the same program. Sara, a friend and graduate from the same program I took at St. Clair College, told me all about IT Sligo, the town and the area around it. Having a friend to help me better understand what school would be like in Ireland really put it at the top of my list. I started reading her blogs and asking a tonne of questions about how she selected IT Sligo over the other schools — she was one of the big factors for why I chose IT Sligo. Tuition was mostly the same in all of the Irish schools that I was looking into but the cost of living in each area wasn’t. Sligo was far cheaper than Dublin and a lot more remote. This meant I could have more money to travel and experience Ireland and Europe. Sligo is also far closer to Belfast and Northern Ireland, which gave me quick access to the UK. County Sligo also has absolutely beautiful landscapes. Being a photographer, I wanted to be in an area that would have an Irish feel but would also offer unique scenery in Ireland. Sligo easily fulfilled these. 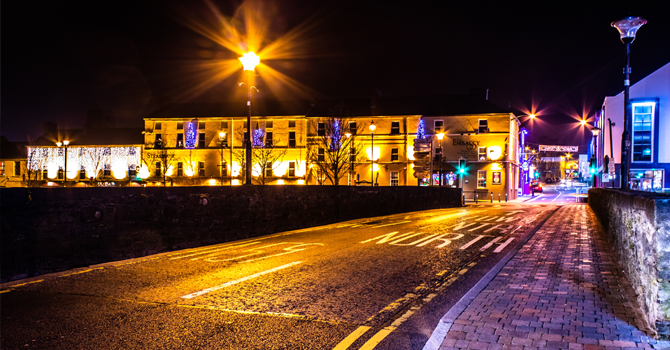 The area around Sligo is stunning and I haven’t even had enough time to explore it all. 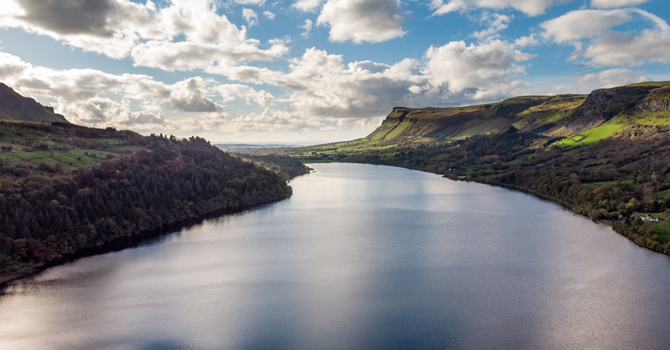 If you love hiking and exploring, Sligo is just right for you! Lastly, the staff at IT Sligo are amazing, especially the International Department. Patrick, the International Manager for IT Sligo, was always there to answer any questions and even came to St. Clair College to talk to us about coming to IT Sligo. Having someone who was so helpful really helped solidify my decision to come to IT Sligo. Patrick made sure we had everything lined up for us before we left Canada and made moving here a lot easier. Even since I’ve gotten here, Patrick and the staff at IT Sligo have been nothing but supportive for our education. As for why I selected the Bachelor of Business (Honours) (Marketing) program, the main reason was that there was a direct transfer agreement between my school in Canada (St. Clair College) and IT Sligo. That meant that instead of going into the 3rd year of a degree program back home, I could enter my 4th year here and have all my credits transfer. On top of this, a few friends of mine had previously taken the program here at IT Sligo and had nothing but great things to say about it. It can get challenging being on a Bachelor of Business program, but it’s worth it. The assessments in the fourth year really focus on more of critical thinking instead of just knowing the terms and facts, which is more rewarding. You definitely get what you put in. As long as you stay on top of your extra reading and assignments, you’ll easily manage the workload and will still having time to travel and enjoy the area. I definitely don’t regret even for a second coming to school at IT Sligo in Sligo, Ireland.